LNS Research from 2017 shows what's driving IIoT investments. In my upcoming October Industrial Internet of Thing’s column, I discussed the mounting pressure on operations and maintenance (O&M) teams to manage data with so many connected devices and equipment on the plant floor. The column explores how much data should be presented to technicians and how a continuous data thread or machine modeling can help identify root causes on a production line. However, many companies are more data mature organizations, farther along with their data strategies than the scenario above. 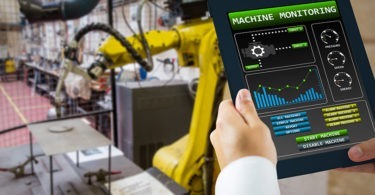 Some manufacturers are employing data modeling software to connect process and quality data — key performance indicators (KPIs) — to provide better production line context. We were able to create a data model or digital twin of the production line that included equipment/process sensor data with batch and quality data. This model was then used to analyze upstream cooker and fermentation data for specific batches. From the outside, data modeling can be challenging since most manufacturers don’t have data scientists on staff. But creating a digital twin model &#151; Change Requires Decisive IIoT Strategies &#151; and finding the right consulting team for this process modeling can be the right fit and avoid an automation capital expense. Even in 2018 necessity is the mother of invention.